Joomla! 1.6 is now obsolete. Joomla! 2.5 is the newest release with long term support. For security reasons, Joomla 1.6 changes this behaviour and you no longer see the module positions by appending ?tp=1 to the end of the URL. 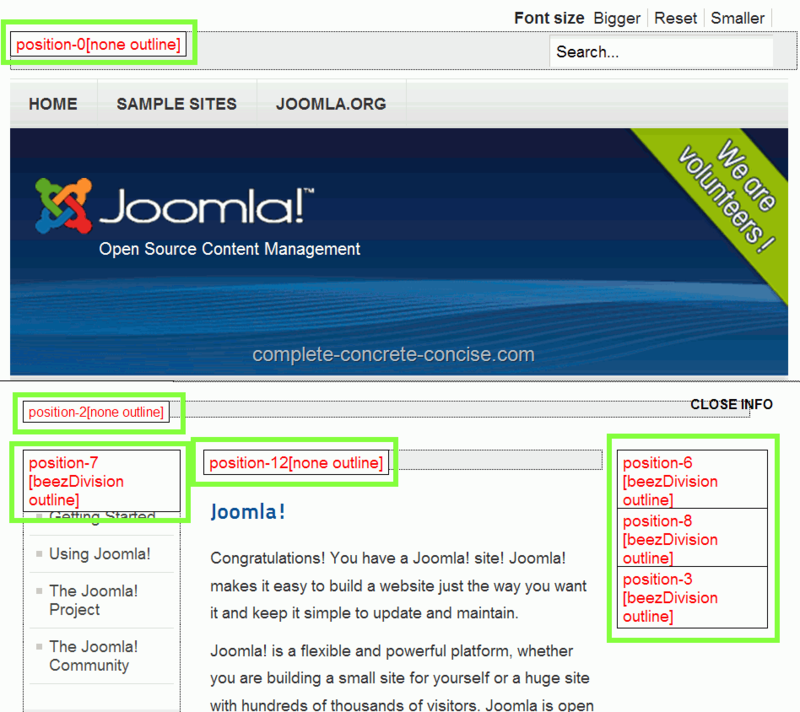 This tutorial assumes you have Joomla! 1.6 installed. Instructions for installing Joomla! 1.6 under XAMPP are here. Joomla 1.6 is now obsolete and no longer supported by joomla.org. The current interim release of Joomla! is 1.7. These instructions apply to both Joomla! 1.6 and Joomla! 1.7.